To claim this profile, please confirm you are Kaitlynn Biassou. To follow this profile, please let us know your relationship to Kaitlynn Biassou. 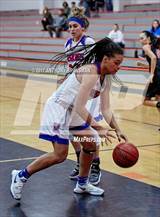 RESULTLoss Girls varsity basketball vs. Desert Oasis. The Reno varsity basketball team lost Wednesday's neutral playoff game against Desert Oasis (Las Vegas, NV) by a score of 66-32. 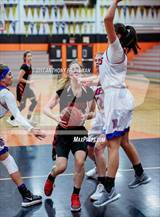 This game is part of the "2019 NIAA State Girls Basketball - NIAA 4A State Girls Basketball" tournament. RESULTLoss Girls varsity basketball vs. Spanish Springs. 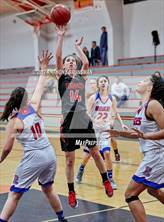 The Reno varsity basketball team lost Saturday's neutral playoff game against Spanish Springs (Sparks, NV) by a score of 54-40. This game is part of the "2019 NIAA State Girls Basketball - NIAA 4A Northern Region Girls BB" tournament. RESULTWin Girls varsity basketball vs. Douglas. The Reno varsity basketball team won Friday's neutral playoff game against Douglas (Minden, NV) by a score of 45-39. RESULTWin Girls varsity basketball vs. Carson. 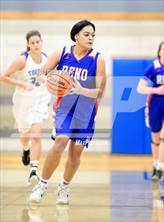 The Reno varsity basketball team won Wednesday's home playoff game against Carson (Carson City, NV) by a score of 65-36. RESULTLoss Girls varsity basketball @ McQueen. 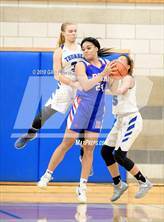 The Reno varsity basketball team lost Friday's away conference game against rival school McQueen (Reno, NV) by a score of 47-29. RESULTWin Girls varsity basketball @ Spanish Springs. The Reno varsity basketball team won Tuesday's away conference game against Spanish Springs (Sparks, NV) by a score of 52-48. RESULTLoss Girls varsity basketball vs. Reed. The Reno varsity basketball team lost Friday's home conference game against Reed (Sparks, NV) by a score of 56-36. RESULTWin Girls varsity basketball @ Hug. 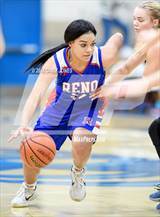 The Reno varsity basketball team won Friday's away conference game against Hug (Reno, NV) by a score of 48-26. RESULTWin Girls varsity basketball vs. McQueen. The Reno varsity basketball team won Tuesday's home conference game against rival school McQueen (Reno, NV) by a score of 54-39. Kaitlynn's basketball stats have been updated for the win vs. Spanish Springs. RESULTWin Girls varsity basketball vs. Spanish Springs. The Reno varsity basketball team won Friday's home conference game against Spanish Springs (Sparks, NV) by a score of 58-52. Kaitlynn's basketball stats have been updated for the win @ Reed. RESULTWin Girls varsity basketball @ Reed. The Reno varsity basketball team won Tuesday's away conference game against Reed (Sparks, NV) by a score of 57-51. Kaitlynn's basketball stats have been updated for the win vs. Hug. RESULTWin Girls varsity basketball vs. Hug. The Reno varsity basketball team won Tuesday's home conference game against Hug (Reno, NV) by a score of 63-37. Kaitlynn's basketball stats have been updated for the win vs. Carson. The Reno varsity basketball team won Friday's home non-conference game against Carson (Carson City, NV) by a score of 51-20. RESULTWin Girls varsity basketball @ Wooster. The Reno varsity basketball team won Wednesday's away non-conference game against Wooster (Reno, NV) by a score of 66-9. Kaitlynn's basketball stats have been updated for the win @ Galena. Kaitlynn has been selected to the 2018-19 MaxPreps/AVCA - Player of the Week.